Custom printed with your design. Bulk quantities available in increments of 250 pieces. This is our cheapest price for large orders of roll up banners (available only online). 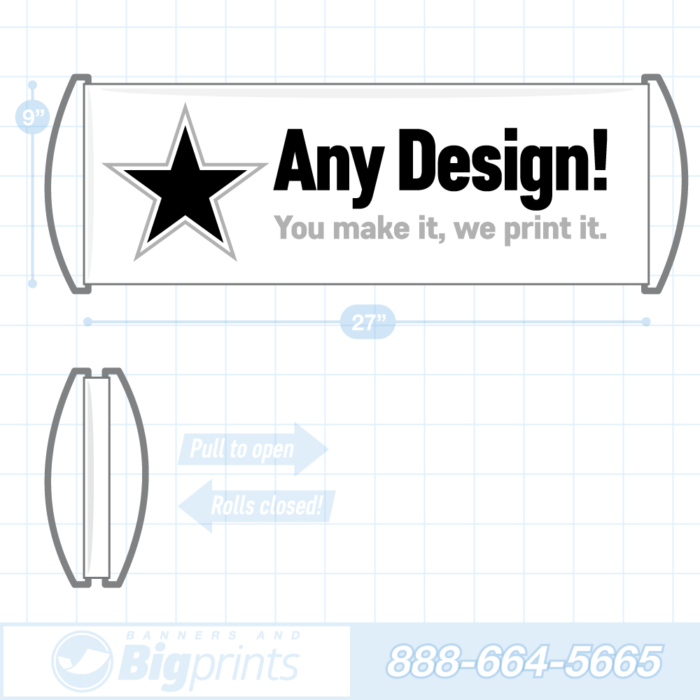 Please describe in detail what you would like printed on your banner. You can upload any logos, images or pictures below. All files are printed “as-is” without modification or proof unless those options are selected. Presently, production time runs approximately 2 to 4 weeks (Does not include shipping time). Rush shipping options available at checkout.